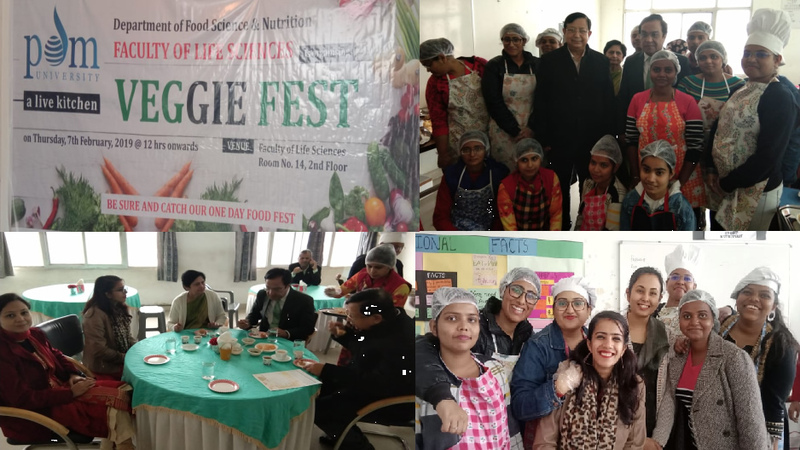 A one-day event “Veggie Fest, A Live Kitchen” was organized by “Department of Food Science and Nutrition” Faculty of Life Sciences on 7th February, 2019 from 11:30 am onwards. Mrs. Tanya, Dr. Mousumi Goswami and Dr. Rishikesh Shukla along with the other faculty members of Life Sciences (Department of Biochemistry (H), Microbiology (H), and B.Sc. (Gen) actively participated in organizing the fest and making it a great success. 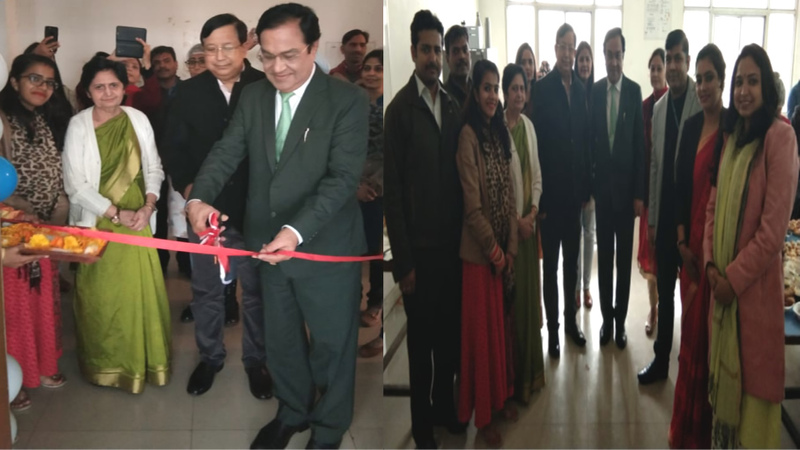 The event was inaugurated with ribbon cutting ceremony by Hon’ble Vice Chancellor, Prof. (Dr.) A. K. Bakhshi, along with other dignitaries- Prof. (Dr.) R. C. Bhattacharjee, Pro-Vice Chancellor; Prof. Paramjit Singh, Registrar; Dr. Laxmi Narula, HoD of Life Sciences; and Deans and Heads of the department of other faculties. All the students of Life Sciences were invited for the fest. The best thing about this event was that everything was prepared by the students of “Food Science and Nutrition” in their laboratory. The name of the cafeteria is self-explanatory- “VEGGIE FEST”. This event was planned just to explain how to modify one’s daily normal snacks into healthy and tasty VEGGIE SNACKS. The students were very careful about the hygiene while preparing all the snacks. They were wearing gloves, head covers and took all other precautions. Students prepared two types of Jaljeera (Sweet and Sour minty) which were served as welcome drinks to everyone. There were four types of healthy snacks and two desserts- Stuffed golgappa, Cheesy paneer rolls, Veggie chilli pockets, PPM pizza, Choco lava stuffed dates and Lactose ladoo. For everyone to have the taste of all the items in one plate students made “VEGGIE FEST COMBO”- The king of the day. 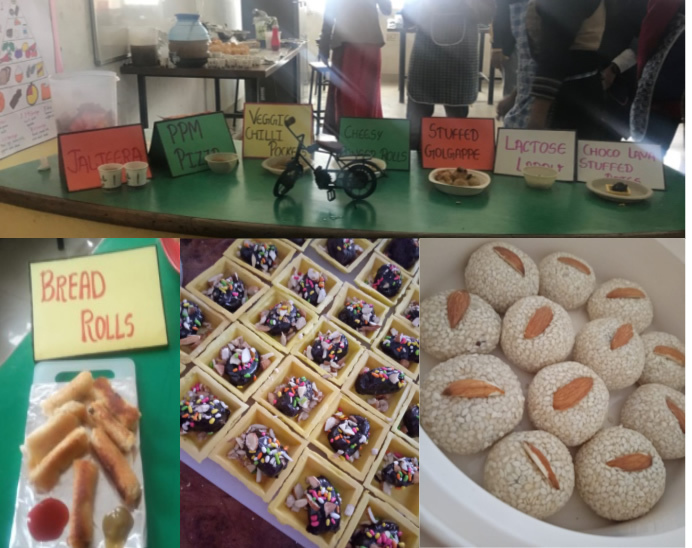 With all the snacks the students also displayed the table of nutritive value (energy, proteins, fats, carbohydrates) of all the ingredients involved in preparing all the snacks. Encouraging positive feedbacks by all those who attended the Veggie Fest was a real reward for the students and has boosted their confidence. The Department is also thankful to Dr. Rajesh Sood, Director (IAH) & Administrative General Services and Mr. Sube Singh for providing raw materials for the event in timely manner which was a great help to accomplish the event.